After several months of seemingly non-stop travel for each of us (most of it work-related), the Midwestern Gentleman and I decided to stay home and have Thanksgiving for two this holiday season. I had recently discovered gluten free lasagna noodles at our local grocery store, which led me to create an Italian-Pilgrim fusion menu for our private Thanksgiving. We started the evening with impromptu cocktails at our neighbors’ cozy home. I brought over a savory seed pate with gluten-free crackers to add to their cheese and cracker plate with sliced apples, all of which paired surprisingly well with the smoky-sweet bourbon and chocolate cocktails. 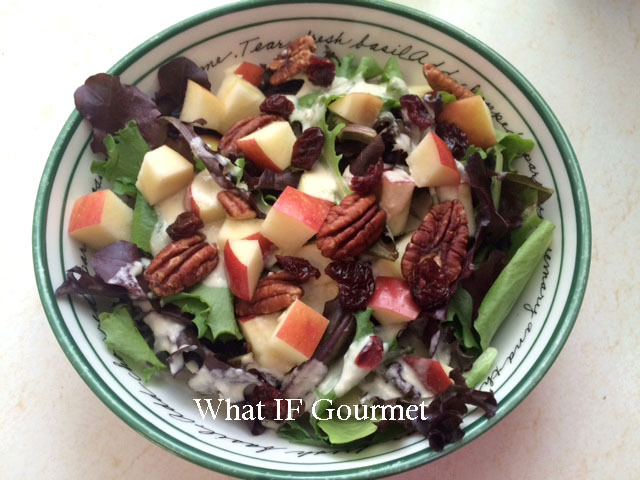 Back at home, we tucked into a baby greens salad with diced apples, dried cranberries, and toasted pecans, drizzled with a homemade, dairy-free, creamy citrus-garlic dressing. Our turkey and herb lasagna was everything I’d hoped it would be — creamy, savory, and filling, even without the gluten and dairy. Lasagna is back on the menu! Finally, we rounded out the meal with a butternut tiramisu. 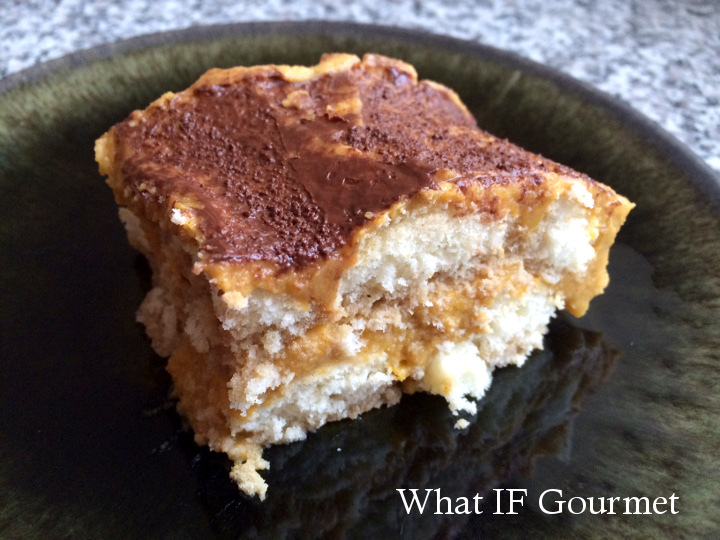 The Gent had requested pumpkin tiramisu, but our local market didn’t carry sugar pumpkins past Halloween this year. I turned to butternut squash instead, and the results met with approval from both of us. This lightly spiced, dairy-free tiramisu is not too sweet, nor too heavy to finish off a rich meal, but it also tastes perfectly wonderful for breakfast the next day. Happy Thanksgiving, y’all! Brew coffee and set aside in a shallow bowl to cool. Set the eggs out on the counter to come to room temperature. Preheat oven to 350 F. Cut the butternut squash in half and scoop out the seeds. Place cut-side down on an oiled baking sheet and roast for about an hour, or until soft when pierced with a fork. Alternatively, you can steam or microwave the squash to save time, but the flavor will be sweeter when cooked in the oven. Let the cooked squash cool until comfortable to the touch, and then then peel off the skin. Put the peeled squash into a food processor and puree until very smooth. Fill a large pot with ice and water and set aside. Separate the eggs, reserving the whites for another use. In a medium bowl, whisk the egg yolks until smooth. Gradually whisk in the coconut milk, agave nectar, vanilla, spices, and pinch salt. Pour the mixture into a 2-quart saucepan with a heavy bottom, and whisk in 2 cups of the butternut puree. Continue to stir, slowly but constantly, over medium heat until the mixture thickens, about 15 minutes. Set the pan in the pot of ice water and continue to stir until the mixture cools to room temperature. The mixture should continue to thicken as it cools. 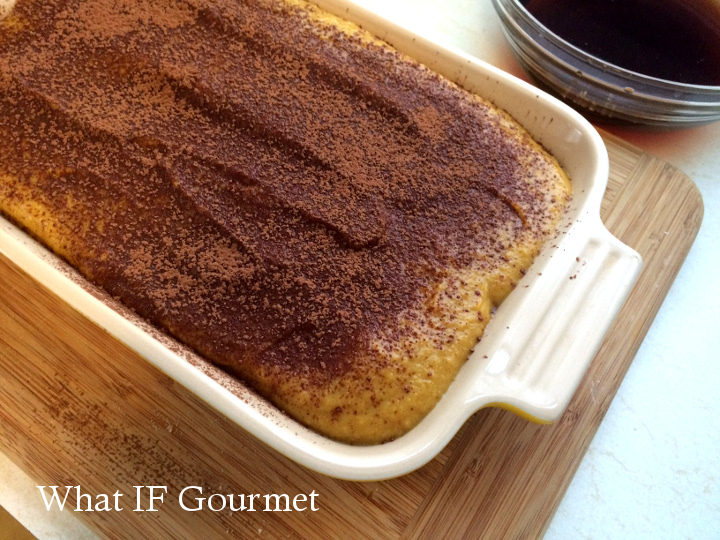 Assemble the tiramisu in a small baking pan (I used a 7″ x 5″ ceramic baking dish). Add the Marsala to the coffee and stir to combine. Dip the ladyfingers into the coffee mixture one by one, allowing them to absorb some of the liquid, but not so much that the cookie falls apart. Line the baking dish with half of the ladyfingers. Dollop half of the butternut custard onto the ladyfingers, and spread evenly. Repeat with the remaining ladyfingers and butternut custard. Using a mesh sifter, sprinkle the cocoa powder evenly over the top of the tiramisu. Cover with plastic wrap and refrigerate for at least 4 hours before serving. 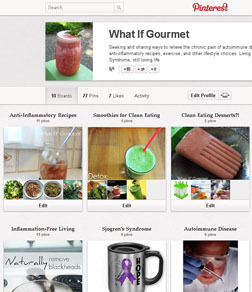 This entry was posted in Anti-Inflammatory Ingredients, Breakfast, Dairy-free, Desserts, Gluten-free, Nut-free, pumpkin/squash/gourds, Recipes, spices, Vegetarian. Bookmark the permalink. Made this today with a couple substitutions to accommodate what I had at home: Sweet potatoes for the squash, and local honey for the sweetener (I also omitted the alcohol). The custard was really good. I could see that as an independent dessert with some whipped cream. I don’t know if this will replace my love of “standard” tiramisu, but it’s an interesting dish. Not too sweet, which I like. I think this will especially appeal to people who like savory desserts more than super sweet ones. The leftovers are headed to work with me tomorrow. Thanks for the feedback, Beth! I’m going to try your suggestion about having the custard as a stand-alone dessert (with dairy-free coconut whipped cream, of course!) I also like your idea of subbing sweet potatoes — I find they are pretty interchangeable with winter squash in most dishes, and I have them on hand more often than I do squash.